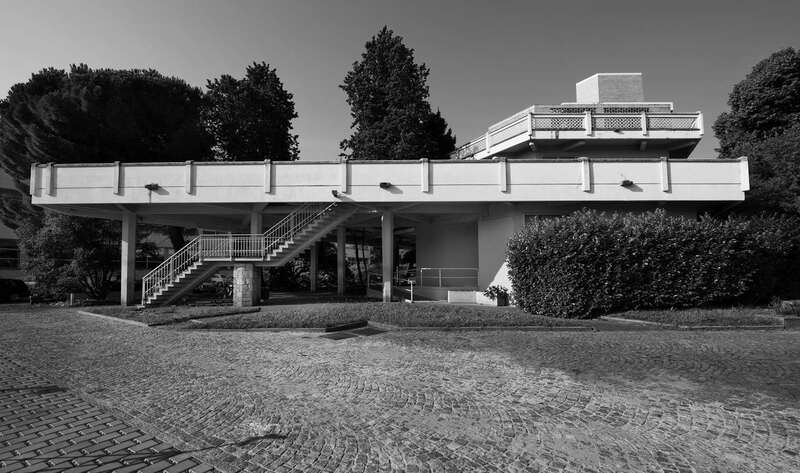 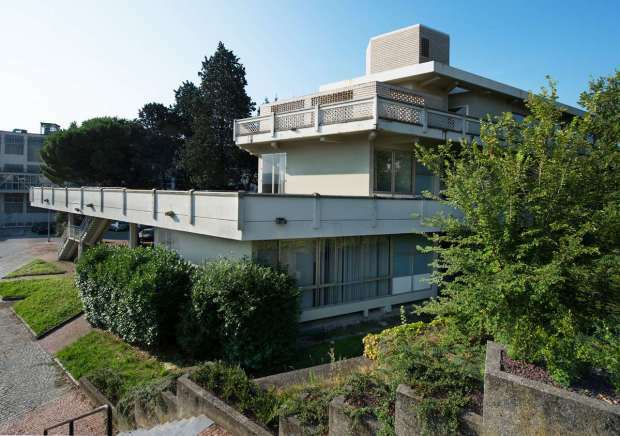 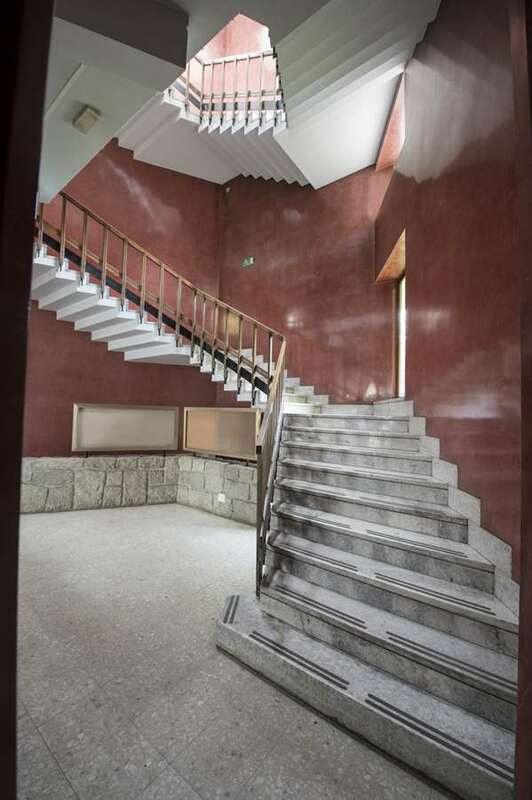 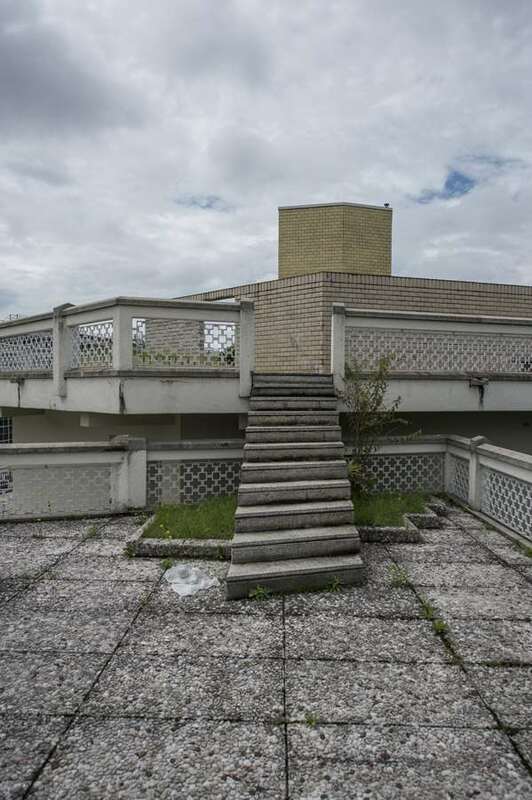 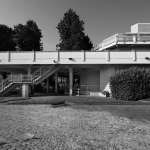 The building design was by Luigi Figini and Gino Pollini (1955-1959) after they won the tender of those invited to compete by Olivetti. 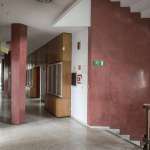 Roberto Guiducci and Paolo Radogna, production technicians at Olivetti contributed to the design. 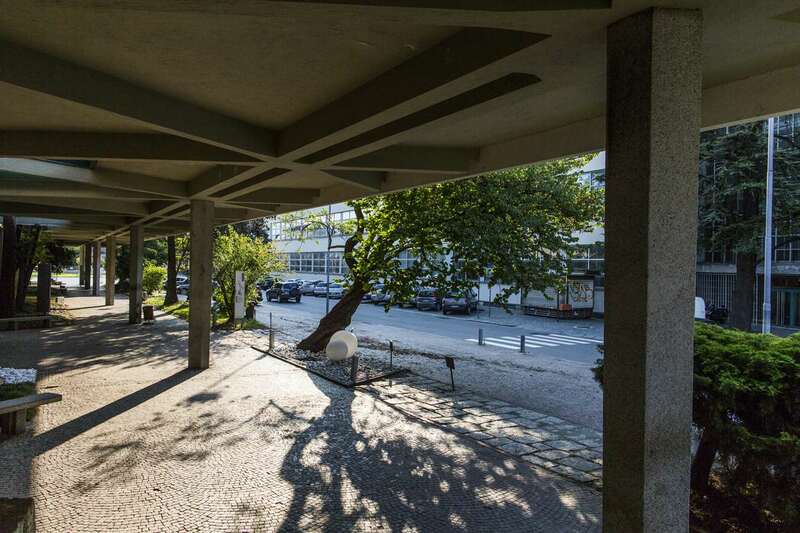 The building running parallel to the ICO Workshops consists of two blocks joined together by an independent vertical block to allow it to follow the road and by its hexagonal layout seen also in the open structure of the building with three staggered floors. 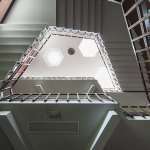 The ground floor is characterised by a portico supported by a hexagonal pillar positioned every two nodes along the structural framework hence, demanding the visible doubling up of the connecting beam. 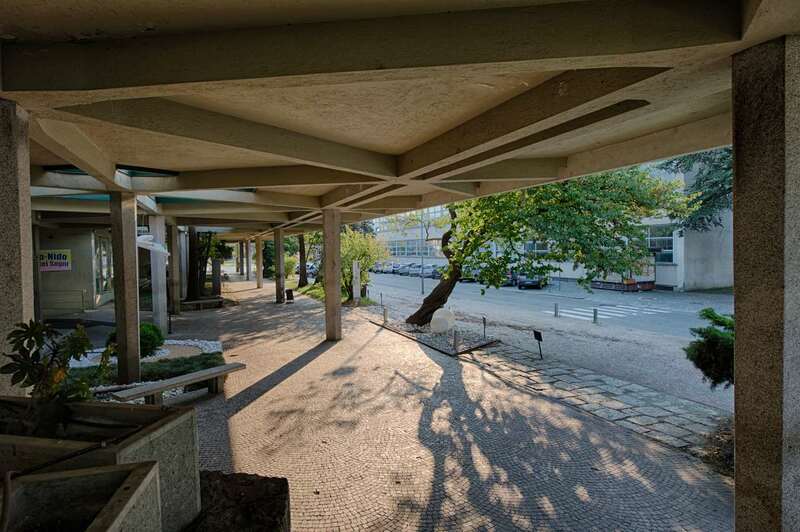 The portico is scattered with light wells and slits in the covering to open up the space to the sky. 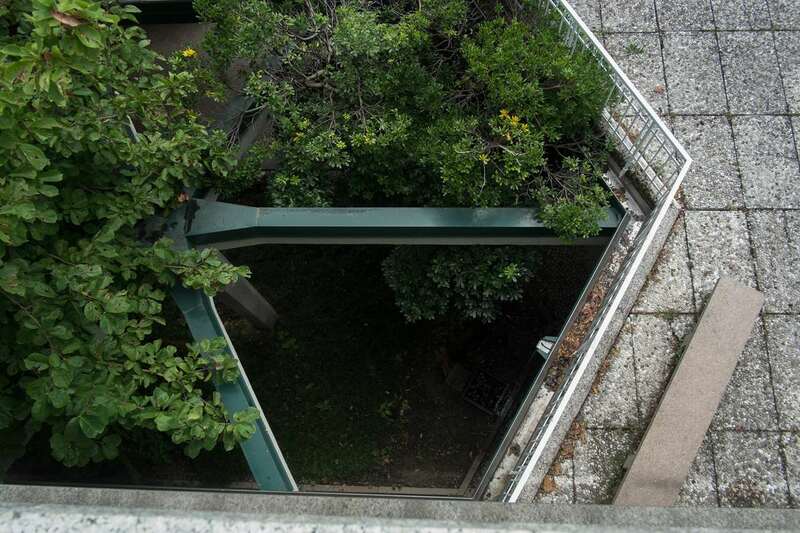 The varying light and vegetation contribute to an open and transparent architecture to satisfy the public demand. 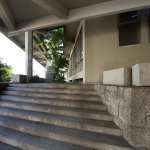 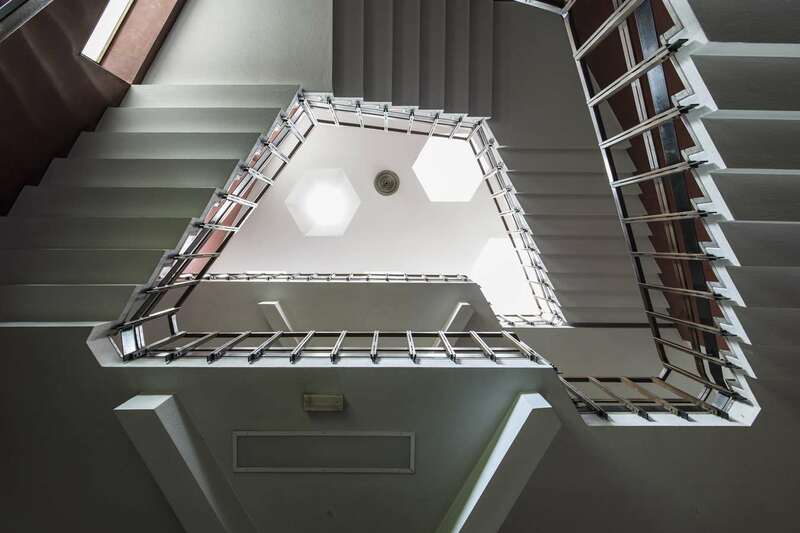 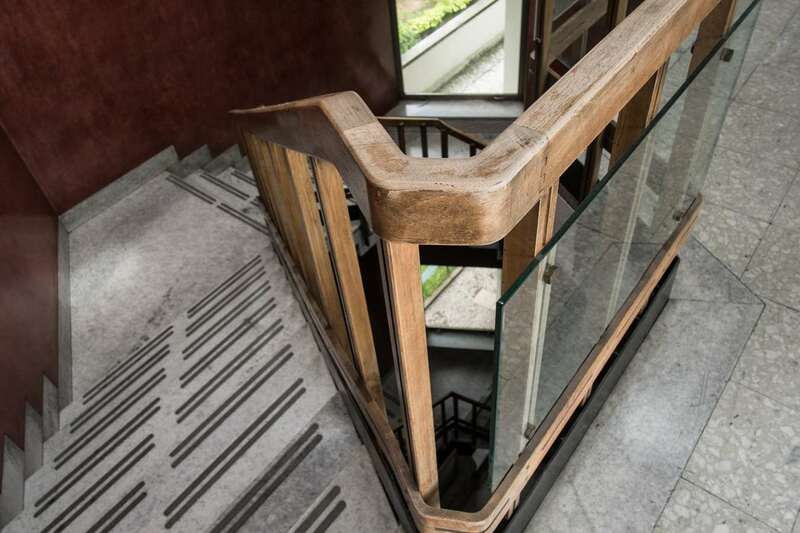 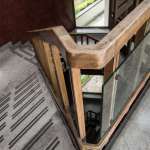 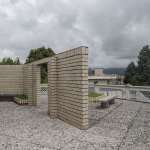 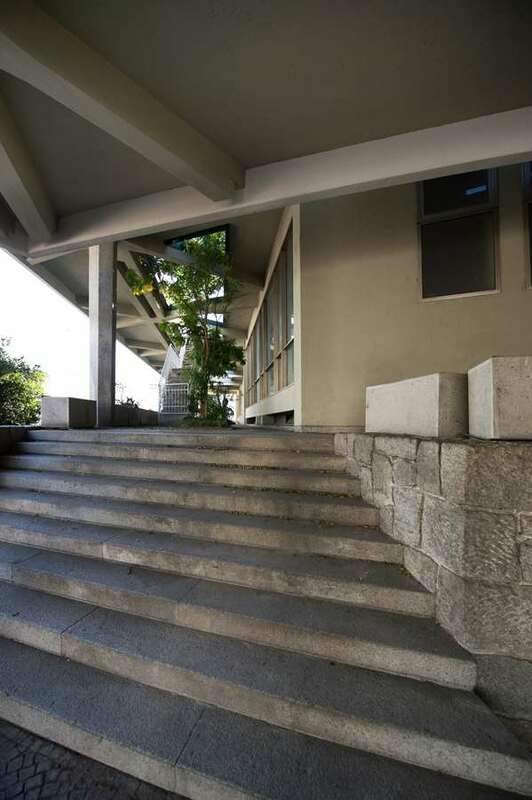 The building can be accessed on all levels from the ground floor using the stairs and raised walkways, from the first floor with its large walkable terrace and from the stair ramps that link the terrace to the solarium and all the areas initially designed to be open to the public. 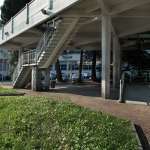 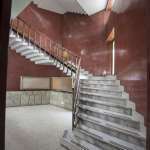 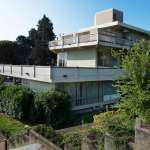 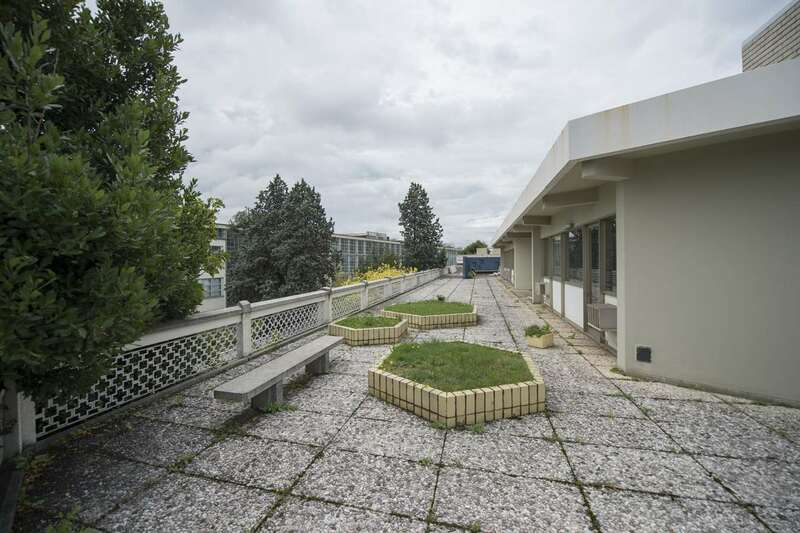 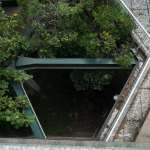 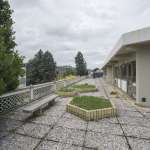 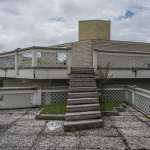 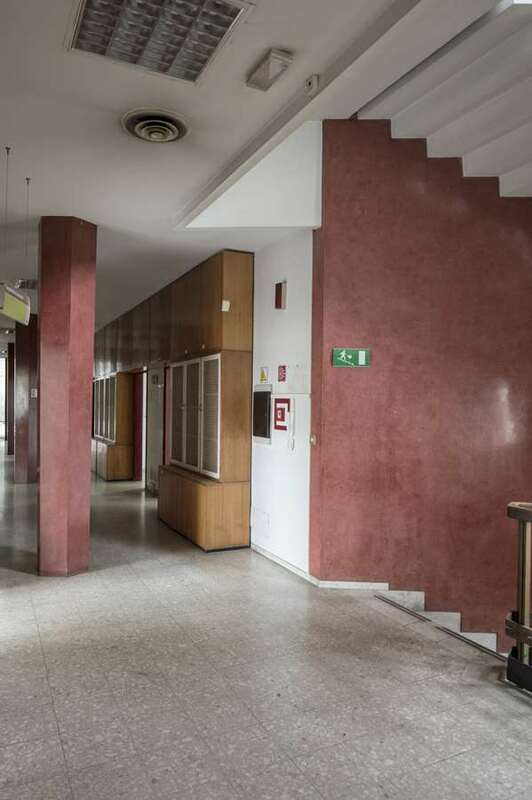 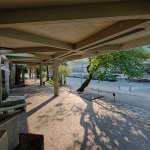 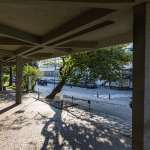 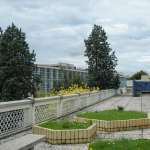 The first of the two blocks of the building was the library and the social services office and the other the infirmary and over time it also hosted other social services activities including the services of the children’s summer camps and those of the Olivetti internal solidarity fund. 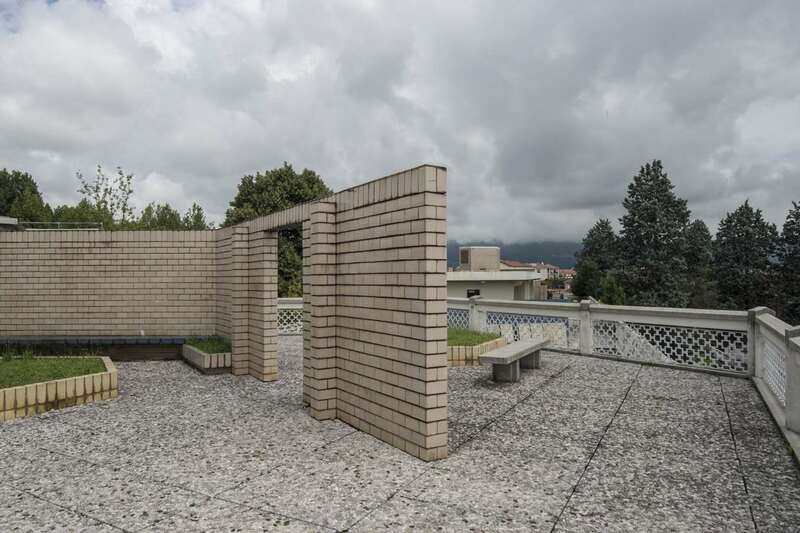 This work significantly represents the value of the Second World War debate in Italy and the international architectural culture was taken on by Adriano Olivetti’s community project. 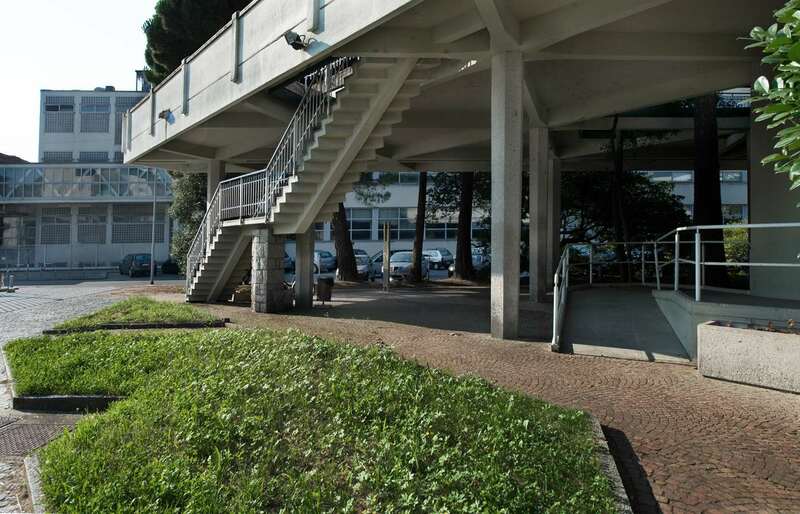 The industrial strategies compared to company organisation are shown to be part of the cultural baggage of the architects and fed their theoretical and professional practice reflections in the field of the construction of an industrial city not just in Ivrea.